Bordeaux three-day tour includes: guided tours and guide service, wine tasting, train tickets, transfers to train station in Paris. After a short train ride from Paris, you will arrive in Bordeaux and have a private walking tour with your Bordeaux tour guide. Recently declared an UNESCO World Heritage site, the historical center of Bordeaux is a delight to explore. Thanks to the ambitious urban planning imposed by 18th century royal courtiers, Bordeaux boasts a number of architectural wonders from the Renaissance era. You will discover the most important of those buildings on your guided tour, including the Grand Theatre, the Tourny alleys and fountain, Quinconces Square (the second large city square in Europe), St. Andrews Cathedral, Town Hall and other landmarks. Your private tour guide will also take you inside Grand Theatre and wine museum. NOTE: Caves to be visited may change due closings. Today, your guide will take you to the village of Les Eyzies de Tayac, where France’s prehistoric ancestors made their home in caves some 40,000 years ago. Les Eyzies is situated in one of the most beautiful and rugged areas in the country, dotted with unusual rock formations, dramatic cliffs and historic caves. You will first tour Les Eyzies’ National Prehistoric Museum, which houses one of the world’s most complete collections of prehistoric artifacts. Through the museum’s interactive displays, you will travel back in time to the Paleolithic era and learn about man’s ancestors, from the Neanderthals to the Cro-Magnons. After this introduction to the region and its pre-historic origins, your private tour guide will take you to Rouffignac Cave. This cave, several miles long, contains more than 150 paintings of woolly mammoths, bisons, ibex, rhinoceros and other ancient fauna. You’ll take a trip on an underground train to see the painted walls. 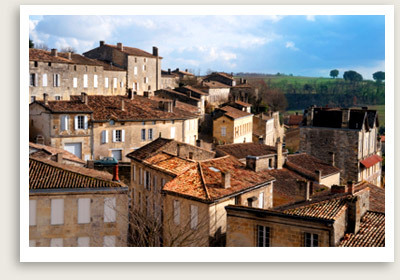 Today, you will enjoy a guided day trip to St. Emilion, the beautiful medieval town originally founded by a 8th century Breton monk. You will have a chance to walk along the original city walls and climb the steep cobblestone streets exploring wine cellars, artisan studios, and art galleries. You can also visit to St. Emilion’s famous underground church carved out of solid limestone, whose volume makes it Europe’s largest. 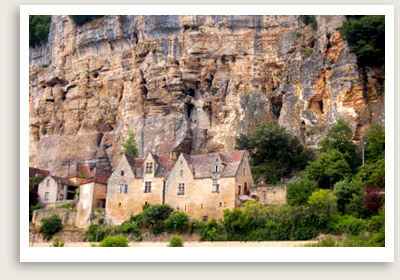 The town’s founding monk lived in a small hermitage carved from a nearby natural cave. Next, you will have a wine tasting in one of St. Emilion’s underground cellars. Several wineries right in town are built atop underground caves perfect for temperature-controlled oak-barrel aging. You also will a little free time to explore the beautiful town on your own and have lunch in one of its many bistros, auberges, chateaux or hostelleries. St. Emilion’s hallmark dessert, a sweet mini-cake called cannelé shaped like a cascading fountain, makes a perfect afternoon snack paired with a glass of chilled Sauternes. You will return to Paris via train in the late afternoon.